Denis Scinta is a member of the Matrimonial & Family Law group at HoganWillig. Mr. Scinta has focused his practice exclusively in the area of Family Law, with particular expertise in Family Court matters, including: divorce, modification and enforcement proceedings, custody, child support, and more. Over an illustrious career, Denis also has specialized in other more atypical matters, such as adoptions, delinquencies, PINS affairs, and issues regarding the termination of parental rights. 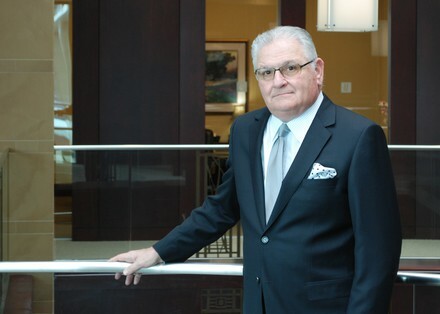 Given his diverse work, Mr. Scinta provides HoganWillig an abundance of experience in all sectors of Family Law. From 1971-1997, Mr. Scinta worked as a partner for the law firm Scinta, Rinaldo & Dee. Prior to HoganWillig, he worked as Special Counsel for Lipsitz, Green, Fahringer, Roll, Schuller & James. Mr. Scinta graduated in 1965 from State University of New York at Buffalo and went on to receive his Juris Doctor from State University of New York at Buffalo in 1969. Mr. Scinta has a strong civic commitment with extensive community involvement and has lectured at countless speaking engagements, seminars, radio, and television appearances. Overall, he is dedicated to helping clients resolve family and matrimonial law matters with passionate advocacy and tough legal strategy. 1. Your message does not create an attorney-client relationship. After reviewing your message, we may or may not be willing or able to represent you. No attorney-client relationship can exist unless we contact you and, after discussing the matter further, you and the firm agree to the terms of representation. 2. Because of the inherently insecure nature of the Internet communications, you should not transmit confidential information by email. Congrats to our 2018 Legal Elite of Western NY!